Residents say last week’s opening of a coffee shop in Homewood is a sign that things are finally beginning to turn around in one of Pittsburgh’s most downtrodden neighborhoods. The Everyday Cafe opened on Nov. 18 and offers frappes and lattes and a full range of organic coffees along with soups, salads and sandwiches for breakfast and lunch. It also provides a community meeting place with free internet service. It will not accept cash, a first for Pittsburgh as far as anyone knows. Patrons must pay by debit or credit card, or an online payment service. Rev. John M. Wallace Jr., senior pastor of nearby Bible Center Church, which owns and operates the business, said payment by credit card is a safety net to deter robbery or theft. He noted that many people use only plastic to pay for goods and services anyway. The cafe is in the Homewood Station development, which includes senior apartments and first-floor businesses on Homewood Avenue next to the Martin Luther King Jr. East Busway. It’s open daily from 7 a.m. to 3 p.m., and Wallace plans to offer cultural events such as music, poetry reading and lectures after hours. He said it cost about $140,000 to open the cafe. Funding was provided by the Richard King Mellon Foundation, Heinz Endowments, Bridgeway Capital and the church congregation. Officials hope it will create a bridge between the adjacent neighborhoods of the affluent Point Breeze and poverty-stricken Homewood. If it proves profitable, the business will help fund social programs for children and Homewood residents, Wallace said. 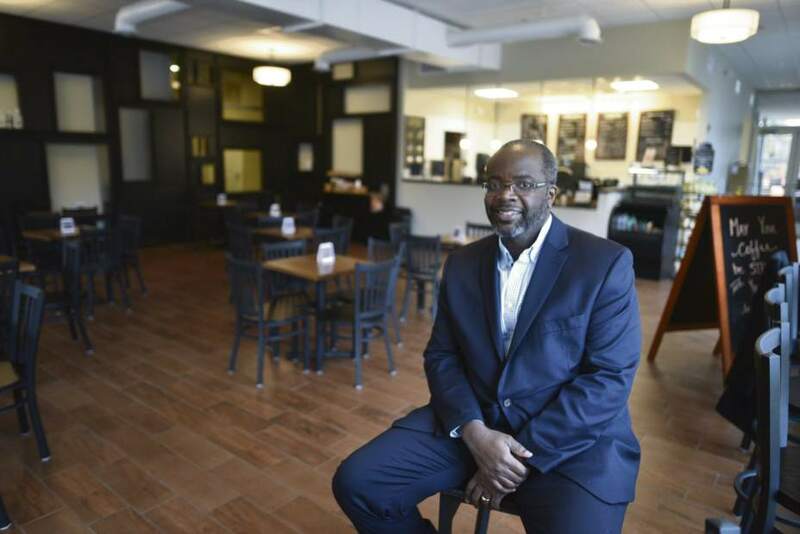 Pittsburgh Councilman Ricky Burgess, who represents Homewood, said the cafe is a sign of change. More than one in three of Homewood’s 6,400 residents lives in poverty, according to the University of Pittsburgh’s Center for Social and Urban Research. About 28 percent of the neighborhood’s 3,846 homes are vacant, compared with Pittsburgh’s 12.6 percent average vacancy rate. Crime is among the highest in Pittsburgh, according to police statistics. Wallace, who grew up about a block from the cafe, said he remembers businesses flourishing on Homewood Avenue.